With the High Courts of the country functioning at around 55% of their total approved strength, 15 High Courts have forwarded names of 223 candidates to the Government, for appointment as Judges. These recommendations would now be forwarded to the Supreme Court collegium. 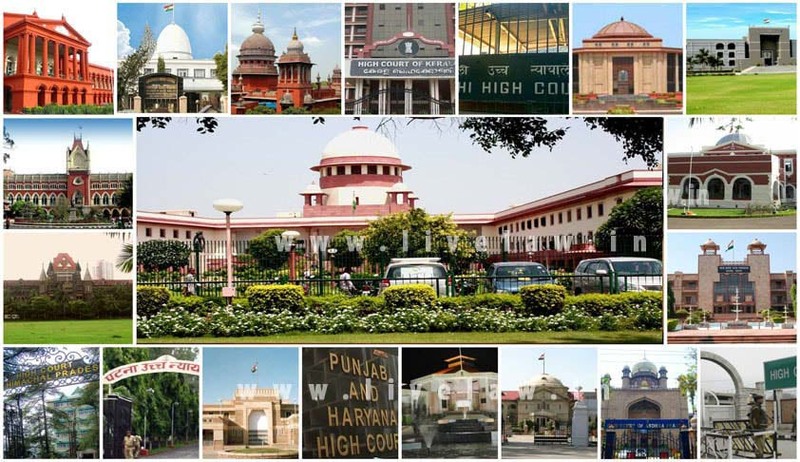 The 15 High Courts include that of Delhi, Punjab and Haryana, Allahabad, Karnataka, Rajasthan, Gauhati and Bombay. The Centre had earlier forwarded to the Supreme Court collegium names of 78 persons from State Judicial Services and the Bar, for filling in judicial vacancies. You may read the LiveLaw article here. The current state of the judiciary-executive relationship was highlighted by Congress Party Spokesman Abhishek Singhvi recently. Mr. Singhvi claimed that the relationship has been in “tatters as never before”. “Congress places this blame on the Government of India. Modi Government has unleashed several... innuendos, sarcasm, open criticism of court judgments,” Mr. Singhvi was quoted as saying. “Whether you agree or disagree with National Judicial Appointments Commission Act, once the Supreme Court has come out with a judgment overruling the Government, there has to be a quietus,” he added. Mr. Singhvi’s comment comes in the backdrop of the Government’s recent direction to the Intelligence Bureau to carry out a “more stringent” background check on all names recommended for elevation by the collegium. Hence, elevations to the High Courts of Allahabad, Delhi, Punjab and Haryana, and Chennai are being “scrutinized more carefully” so that nobody of questionable integrity is appointed. The Centre has also put on hold appointment of 44 Judges to the Allahabad High Court, referred to it by the High Court collegium in April. You may read the LiveLaw article here.